Apple has quietly dropped the requirement that tvOS developers make their games playable using the Siri Remote as a controller. 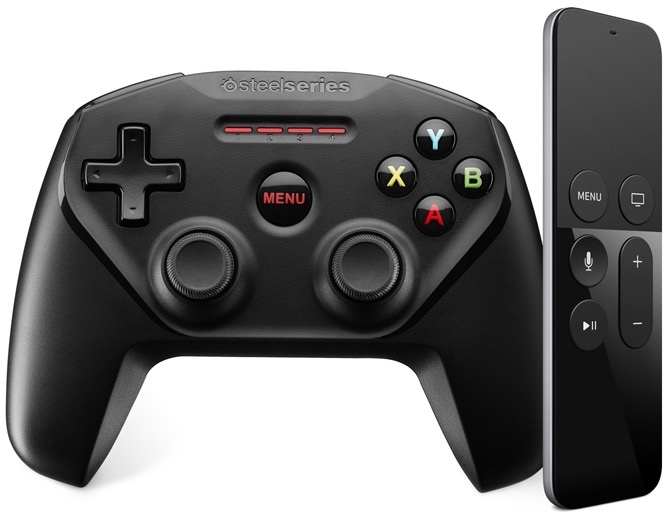 The policy change was discovered in an update to an existing Apple TV support document covering the use of game controllers, and highlighted by MacRumors' sister site TouchArcade as a revision that will surely be welcomed by developers and gamers alike. The updated document now recommends to developers: "When designing a tvOS game, you may require the use of an MFi game controller, but where possible you should also support the Siri Remote." The wording reflects a subtle but significant softening of the company's previous stance on Siri Remote controller support. At the launch of the fourth-generation Apple TV last year, Apple initially encouraged game developers to support the Siri Remote included with the device, but eventually hardened its stance by stipulating the support as a necessary requirement. That vexed some developers who complained that the Siri Remote simply doesn't function well as a controller for more complex games that involve finer grained control and subtler movements. The reversed stance therefore paves the way for developers to bring games to Apple TV that would have previously been considered unplayable on the platform. On the flip side of course, it's also likely to mean that some games which subsequently appear in the Apple TV App Store will be out of reach of users who do not own a compatible third-party MFi game controller. In related news, Apple yesterday demoed an updated Remote app for the fourth-gen Apple TV and tvOS which mirrors the functionality of the Siri Remote and also allows users to play games using their iPhone. The company also used its WWDC 2016 keynote to announce an updated version of tvOS that includes new functionality and features for Siri, single sign-on and more. Who want to bet that even if this is a great thing there will be someone able to find a negative side about this?? Will there be some sort of warning during the purchase of such apps? Great move Apple. I think they are realising the issues with the remote, also really looking forward to the iPhone remote app. iOS 10: The common sense update. I assume so. This is huge for ATV gaming. They will do some sort of indication of the controller requirements before purchase. Though I feel it'll be something along the lines of what they have now, likely just icons at the bottom to show what it works with. I for one won't be using it as an excuse to be lazy though, I'll still include Siri Remote support whenever I can. Bring on playstation 4 remote play and playstation now to apple tv 4! Dual shock 4 on apple tv would be nice also. This works for me. Love to see each tvOS app have some icons showing supported controllers such as: Siri Remote, game controller, aircraft controller and driving controller. Then there are hand waving and step pad support! It's probably a bit too late to play catch up now - but the correct decision. Developers will take the hit from idiots with all the 1 star reviews they get from people complaining it doesn't work with their remote. They should just bring up a warning pre-purchase in the store that the game supports game controllers only.